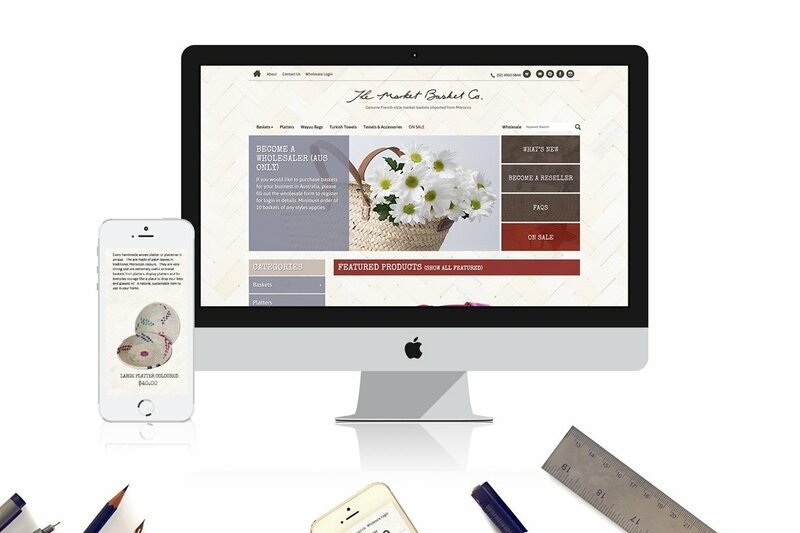 The Market Basket Co. owner had just brought the business and was frustrated with the website system the business had been using. 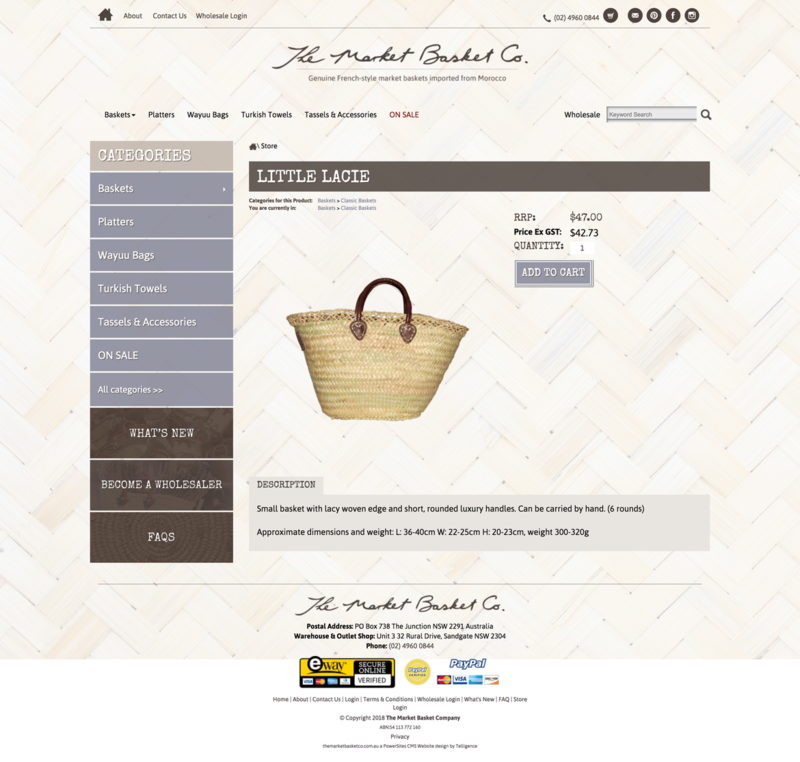 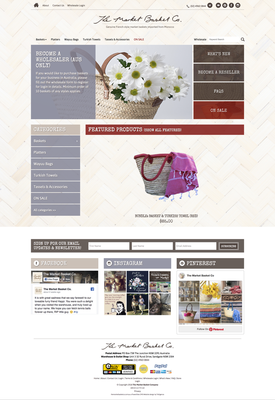 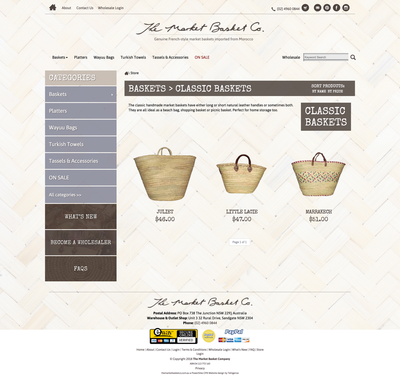 They wanted a online ecommerce solution that would work with their business module. 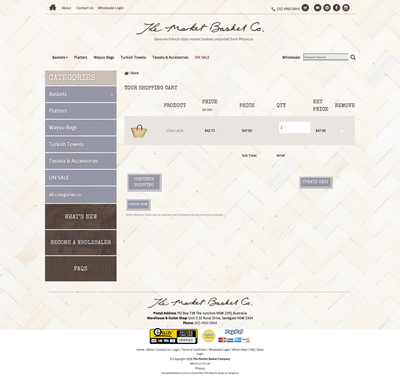 As they cater for both wholesalers and retail customers, they needed to be able to have mulit-tiered pricing structure depending on a logged in users privileges. Watch the video on this page to learn more about this project and how the PowerSites online ecommerce solution has helped The Market Basket Co.
Modules Used: Store Module, Blog, Email Campaign, Powerdata Forms.